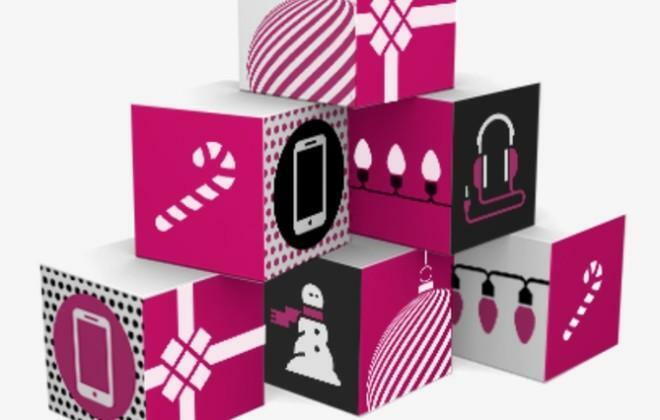 T-Mobile is hitting the holiday season hard. From Black Friday the company’s been rolling out a variety of special offers, including $0 down on handsets like the iPhone 5s and 5c, which have since gone back up in terms of initial down payment cost. The next stage of the holiday discounts, according to one of our sources, is the second phase of an “Upgrade and Save” holiday offer. This offer is open to upgrade customers only, and will only apply if the subscriber has met the the “tenure eligibility requirements” of their plan. Phase 1, which included LG, Sony and Samsung phones ends on December 10th. From the 11th, it’ll include the Samsung, LG and Apple devices mentioned above. Interestingly, the 32GB model iPhone 5c is included, and Tmo continues to offer the iPhone 5, which amazingly is still $199 upfront on a new line. If we get any form of confirmation or any further information, we’ll be sure to update the post. Wow. Something for existing customers? what? all t-mobile prices and deals are for existingnew customers. Yep, Just passed by a tmobile store at Union Square NYC, and the sales associate confirmed it. are they gonna jack up the monthly payments though? how about some reduced prices….not a discount on a down-payment. Lame! Fail! No! etc. What would a contract have to do anything? because a contract ensures that a subsidy will be paid back. that’s why termination fees are tiered. But in regard to phones at full price, a contract still doesn’t seem relevant. EIPs are already essentially contracts that ensure full payment regardless. Not really because anyone can cancel without penalty by paying full price… there is no contract you are breaking. Whereas with other carriers there is a service contract which may affect credit history and or device blacklisting. Not saying that it happens each time someone cancels but the risk keeps people from doing it free nilly. Is the remaining EIP balance not due should one cancel? Now actually reduce the total cost of the phone… you have people buying, cancelling, paying off EIP at reduced price at a loss to tmobile. In that case, they should bring back the option for contracts for those who have no plans on leaving on exchange for cheaper devices. Not really req. Tmobile (both phone and total service) already is the cheapest when it comes to the competition. However it puts them in a spot where they cant offer actual discounts on their phones… tmobile should retain costumers based on price and service alone, so it is actually good for consumers. Whereas competitors can offer “sales” on their phones because their prices are already hidden and highly marked up in the service plan. Well, for me, if I did the math for my AT$T plan @ $160/mo. and my T-Mobile plan for $120/mo, including 3 new devices ($200/ea. @ AT$T, $650/ea. @ T-Mobile), AT$T would be $4,440 after 24 months while T-Mobile would be $4,830 for a difference of $390 in favor for AT$T. If I don’t want any phones, then it would be $3,840 for AT$T and $2,880 for T-Mobile, with a big $960 difference in favor for T-Mobile. Of course, that’s not factoring the price of phones at all. Honestly, $390 isn’t a big difference over the course of 24 months, so T-Mobile would be fine for me. So, T-Mobile isn’t always cheaper in the long run. But anyway, they’ve yet to offer *any* kind of discount on their phones. That’s probably my only real painpoint with them, and I’m sure they have something coming eventually. All of this $0 down stuff is nothing but irrelevant to me and many others. I would like to know what plan you are comparing with AT&T? Because I do not get those calculations… I assume you used the iPhone 5S in your example based on phone costs…. TOTAL cost of ownership/service is $5,508. TOTAL cost of ownership/service is $4,854. With T-mobile you get a total of 7.5GB, except each line is limited to 2.5GB but you gain hotspot capability. I am not sure if it still holds true but this is how it was when I had AT&T. AT&T is horrendous for their corporate / military discounts, they only do it on the base plan. So in this case they will only give you a 15% discount on the $80 base plan. So that means you only get a discount of $12 a month. On TMobile it is based on the entire bill minus any EIP. So it is 15% of $120 which is $18 a month. Doesn’t sound like much but it is an additional $144 savings compared to AT&T. In the example I gave above, not only does it cost significantly more upfront for AT&T ($708) vs T-Mobile ($30), in the long run you end up paying $798 more to have AT&T. Our math isn’t off, we’re just comparing different plans. My AT$T bill was $160, whereas my T-Mobile one would be roughly $120. What each line costs is irrelevant, since it’s the ending payment amount that ultimately counts. So, for my particular case, T-Mobile with 3 $650 devices versus AT$T’s 3 $200 devices results in AT$T being noticeably cheaper, almost the cost of a full device itself. Of course, if I don’t get the most expensive devices around, then the difference would decrease quite a bit to where it probably wouldn’t matter much. Then your comparison is not a fair one. You cant compare old plans that no longer exist, put upgrades on them cause you know att will drop new plan reqs on them. Or even compare them to begin with if the plan features dont match up. It’s like saying that I can save a ton of money by switching to tmobiles $30 100min 5Gb vs AT&T unlimited 6gb data plan for $120. Why isn’t it fair? People comparing their existing AT$T service isn’t going to modify their current plans just to better compare their services and features to T-Mobile to get a different price comparison. People have to compare what they’re currently getting and at what price, to what they would then get on T-Mobile. But you compared it based on buying new phones…. the carriers get rid of grandfathered plan upon upgrades…. No, AT$T, surprisingly, doesn’t change your plan because of simple on-contract device upgrades. why is there a date that you’re eligible for eip? Well one representative said because I brough my own device I had to wait a year. And another said my credit check didn’t go all the way through. Idk for sure. If you did a BYOD regardless of credit class you have to wait a year to “upgrade” using EIP. No Thanks! Not until they start offer something like a new Sidekick or similar with good physical keyboard! As far as the iphone 5….. They only have 64 GB left in stock for the past 2 weeks. All others are sold out for good. Online at least. This bad reporting needs to stop.. all it is doing is causing confusion… report it as $0 down financing instead of “saving”. In order to “save” one needs to pay LESS than regular total price. The way you wrote it actually make it sound like someone can get $200 off on the price of the phone. Try explaining to a t-mob salesperson that paying for a phone upfront should cost less than paying it off over time. Dont get this comment… why should it cost less to buy outright upfront? Tmobile advertises 0% financing, meaning cost to buy up front and or monthly is the same. That is the same with any other retailer that offers 0% financing. What gets me is this site constantly reporting Sales, Savings, Discounts off a phone when there is none. Sales, savings, discounts imply that the cost of the phone is actually less… not just hidden. That is why I said the proper reporting is to spin it as $0 down financing and not an up to $200 discount off a phone. I agree with your original comment, there have been times I have read a t-mob promo only to find out the phones price hasn’t changed. Sometimes it actually increased; Nokia had a promo on the 925 =20.00 free app credit T-mob increased the cost of the phone 5.00. They play a shell game which hurts their credibility. My point is T-mob plays shell games. It costs any company money to offer credit which is 0 down. A salesman at the local store says “we try to appeal to credit roaches”. I agree with your original comment, there have been times I have read a t-mob promo only to find out the phones price hasn’t changed. There have been times it actually increased; Nokia had a promo on the 925 =20.00 free app credit T-mob increased the cost of the phone 5.00. These Non Promos hurts their credibility. There actually is a saving portion to this, except they are mailing out the discount opportunities to people eligible for a discount. My question is, does it apply to classic only? What if we are eligible for a jump upgrade, can we still get a discount mailer? Although i think the earliest jump upgrade is january anyway. To those who say that there is no real cost savings to a reduced down payment, I would like to point out that $0+Jump! is a pretty good deal. That $0 down reduces the upfront cost and T-Mo eats the remaining EIP when you upgrade via Jump! So if the $0 down means an additional $100 over 24 months, and you upgrade at 6 months, you will have saved $75.